An inventory of steps involved in respiration (Figure 15-6) is provided for orientation before beginning the detailed descriptions of each step, beginning with ventilation. Avery important point must be made at this point: All pressures in the respiratory system, as in the cardiovascular system, are given relative to atmospheric pressure, which is 760 mmHg at sea level. For example, the alveolar pressure between breaths is said to be 0 mmHg, which means that it is the same as atmospheric pressure. During ventilation, air moves into and out of the lungs because the alveolar pressure is alternately made less than and greater than atmospheric pressure (Figure 15-7). These alveolar pressure changes are caused, as we shall see, by changes in the dimensions of the lungs. Relationships required for ventilation. When the alveolar pressure (palv) is less than atmospheric pressure (patm), air enters the lungs. 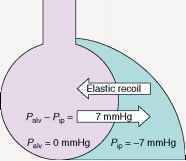 Flow (F) is directly proportional to the pressure difference and inversely proportional to airway resistance (R). Black lines show lung's position at beginning of inspiration or expiration, and blue lines at end. To understand how a change in lung dimensions causes a change in alveolar pressure, you need to learn one more basic concept—Boyle's law (Figure 15-8). At constant temperature, the relationship between the pressure exerted by a fixed number of gas molecules and the volume of their container is as follows: An increase in the volume of the container decreases the pressure of the gas, whereas a decrease in the container volume increases the pressure. It is essential to recognize the correct causal sequences in ventilation: During inspiration and expiration the volume of the "container"—the lungs—is made to change, and these changes then cause, by Boyle's law, the alveolar pressure changes that drive air flow into or out of the lungs. Our descriptions of ventilation must focus, therefore, on how the changes in lung dimensions are brought about. There are no muscles attached to the lung surface to pull the lungs open or push them shut. Rather, the lungs are passive elastic structures—like balloons— and their volume, therefore, depends upon: (1) the difference in pressure—termed the transpulmonary pressure—between the inside and the outside of the lungs; and (2) how stretchable the lungs are. The rest of this section and the next three sections focus only on transpulmonary pressure; stretchability will be discussed later in the section on lung compliance. Compare this equation to Equation 15-2 (the equation that describes air flow into or out of the lungs), as it will be essential to distinguish these equations from each other (Figure 15-9). To summarize, the muscles used in respiration are not attached to the lung surface. Rather these muscles are part of the chest wall. When they contract or relax, they directly change the dimensions of the chest, which in turn causes the transpulmonary pressure (Palv — Pip) to change. The change in transpulmonary pressure then causes a change in lung size, which causes changes in alveolar pressure and, thereby, in the difference in pressure between the atmosphere and the alveoli (Patm — Palv). It is this difference in pressure that causes air flow into or out of the lungs. Let us now apply these concepts to the three phases of the respiratory cycle: the period between breaths, inspiration, and expiration. giving all pressures relative to atmospheric pressure. Therefore, the transpulmonary pressure (Paiv — Pip) equals [0 mmHg — (—4 mmHg)] = 4 mmHg. As emphasized in the previous section, this transpulmonary pressure is the force acting to expand the lungs; it is opposed by the elastic recoil of the partially expanded and, therefore, partially stretched lungs. Elastic recoil is defined as the tendency of an elastic structure to oppose stretching or distortion. In other words, inherent elastic recoil tending to collapse the lungs is exactly balanced by the transpulmonary pressure tending to expand them, and the volume of the lungs is stable at this point. As we shall see, a considerable volume of air is present in the lungs between breaths. At the same time, there is also a pressure difference of 4 mmHg pushing inward on the chest wall— that is, tending to compress the chest—for the following reason. 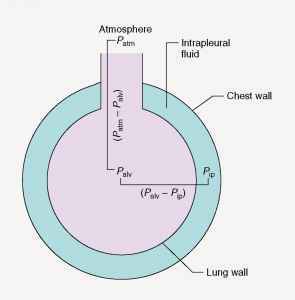 The pressure difference across the chest wall is the difference between atmospheric pressure and intrapleural pressure (Patm — Pip). Patm is 0 mmHg, and Pip is —4 mmHg; accordingly, Patm — Pip is [0 mmHg — (—4 mmHg)] = 4 mmHg directed inward. This pressure difference across the chest wall just balances the tendency of the partially compressed elastic chest wall to move outward, and so the chest wall, like the lungs, is stable in the absence of any respiratory muscular contraction. Clearly, the subatmospheric intrapleural pressure is the essential factor keeping the lungs partially expanded and the chest wall partially compressed between breaths. The important question now is: What has caused the intrapleural pressure to be subatmospheric? As the lungs (tending to move inward from their stretched position because of their elastic recoil) and the thoracic wall (tending to move outward from its compressed position because of its elastic recoil) "try" to move ever so slightly away from each other, there occurs an infinitesimal enlargement of the fluid-filled in-trapleural space between them. But fluid cannot expand the way air can, and so even this tiny enlargement of the intrapleural space—so small that the pleural surfaces still remain in contact with each other—drops the intrapleural pressure below atmospheric pressure. In this way, the elastic recoil of both the lungs and chest wall creates the subatmospheric intrapleural pressure that keeps them from moving apart more than a very tiny amount. The importance of the transpulmonary pressure in achieving this stable balance can be seen when, during surgery or trauma, the chest wall is pierced without damaging the lung. Atmospheric air rushes through the wound into the intrapleural space (a phenomenon called pneumothorax), and the intrapleural pressure goes from — 4 mmHg to 0 mmHg. The transpulmonary pressure acting to hold the lung open is thus eliminated, and the lung collapses. At the same time, the chest wall moves outward since its elastic recoil is also no longer opposed. Figures 15-11 and 15-12 summarize the events during normal inspiration at rest. Inspiration is initiated by the neurally induced contraction of the diaphragm and the "inspiratory" intercostal muscles located between the ribs. (The adjective "inspiratory" here is a functional term, not an anatomical one; it denotes the several groups of intercostal muscles that contract during inspiration.) The diaphragm is the most important in-spiratory muscle during normal quiet breathing. When activation of the nerves to it causes it to contract, its dome moves downward into the abdomen, enlarging the thorax. Simultaneously, activation of the nerves to the inspiratory intercostal muscles causes them to contract, leading to an upward and outward movement of the ribs and a further increase in thoracic size. force acting to expand the lungs—the transpulmonary pressure—is now greater than the elastic recoil exerted by the lungs at this moment, and so the lungs expand further. Note in Figure 15-12 that, by the end of inspiration, equilibrium across the lungs is once again established since the more inflated lungs exert a greater elastic recoil, which equals the increased transpul-monary pressure. In other words, lung volume is stable whenever transpulmonary pressure is balanced by the elastic recoil of the lungs (that is, after both inspiration and expiration). Thus, when contraction of the inspiratory muscles actively increases the thoracic dimensions, the lungs are passively forced to enlarge virtually to the same degree because of the change in intrapleural pressure and hence transpulmonary pressure. The enlargement of the lungs causes an increase in the sizes of the alveoli throughout the lungs. Therefore, by Boyle's law, the pressure within the alveoli drops to less than atmospheric (see Figure 15-12). This produces the differ ence in pressure (Paiv < Patm) that causes a bulk-flow of air from the atmosphere through the airways into the alveoli. By the end of the inspiration, the pressure in the alveoli again equals atmospheric pressure because of this additional air, and air flow ceases. Figures 15-12 and 15-13 summarize the sequence of events during expiration. At the end of inspiration, the nerves to the diaphragm and inspiratory intercostal muscles decrease their firing, and so these muscles relax. The chest wall is no longer being actively pulled outward and upward by the muscle contractions and so it starts to recoil inward to its original smaller dimensions existing between breaths. This immediately makes the intrapleural pressure less subatmospheric and hence decreases the transpulmonary pressure. Therefore, the transpulmonary pressure acting to expand the lungs is now smaller than the elastic recoil exerted by the more expanded lungs, and the lungs passively recoil to their original dimensions. 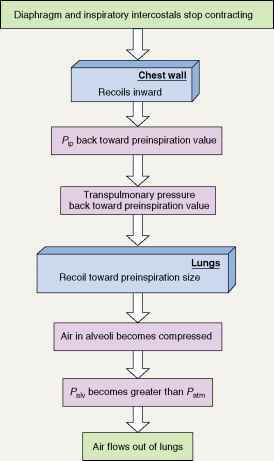 As the lungs become smaller, air in the alveoli becomes temporarily compressed so that, by Boyle's law, alveolar pressure exceeds atmospheric pressure (see Figure 15-12). Therefore, air flows from the alveoli through the airways out into the atmosphere. Thus, expiration at rest is completely passive, depending only upon the relaxation of the inspiratory muscles and recoil of the chest wall and stretched lungs. 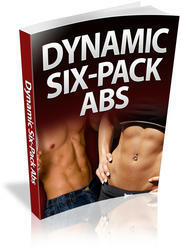 Under certain conditions (during exercise, for example), expiration of larger volumes is achieved by contraction of a different set of intercostal muscles and the abdominal muscles, which actively decreases thoracic dimensions. The "expiratory" intercostal muscles (again a functional term, not an anatomical one) insert on the ribs in such a way that their contraction pulls the chest wall downward and inward. Contraction of the abdominal muscles increases intraabdominal pressure and forces the relaxed diaphragm up into the thorax. 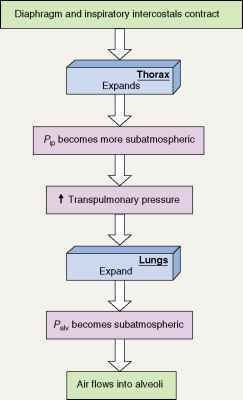 that a greater-than-normal transpulmonary pressure must be developed across the lung to produce a given amount of lung expansion. In other words, when lung compliance is abnormally low, intrapleural pressure must be made more subatmospheric than usual during inspiration to achieve lung expansion. This requires more vigorous contractions of the diaphragm and inspiratory intercostal muscles. Thus, the less compliant the lung, the more energy is required for a given amount of expansion. Persons with low lung compliance due to disease therefore tend to breathe shallowly and must breathe at a higher frequency to inspire an adequate volume of air. Determinants of Lung Compliance There are two major determinants of lung compliance. One is the stretchability of the lung tissues, particularly their elastic connective tissues. Thus a thickening of the lung tissues decreases lung compliance. However, an equally important determinant of lung compliance is not the elasticity of the lung tissues, but the surface tension at the air-water interfaces within the alveoli. The surface of the alveolar cells is moist, and so the alveoli can be pictured as air-filled sacs lined with water. At an air-water interface, the attractive forces between the water molecules, known as surface tension, make the water lining like a stretched balloon that constantly tries to shrink and resists further stretching. Thus, expansion of the lung requires energy not only to stretch the connective tissue of the lung but also to overcome the surface tension of the water layer lining the alveoli. Indeed, the surface tension of pure water is so great that were the alveoli lined with pure water, lung expansion would require exhausting muscular effort and the lungs would tend to collapse. It is extremely important, therefore, that the type II alveolar cells secrete a detergent-like substance known as pulmonary surfactant, which markedly reduces the cohesive forces between water molecules on the alveolar surface. Therefore, surfactant lowers the surface tension, which increases lung compliance and makes it easier to expand the lungs (Table 15-3). 1. Pulmonary surfactant is a mixture of phospholipids and protein. 2. It is secreted by type II alveolar cells. 3. It lowers surface tension of the water layer at the alveolar surface, which increases lung compliance (that is, makes the lungs easier to expand). 4. 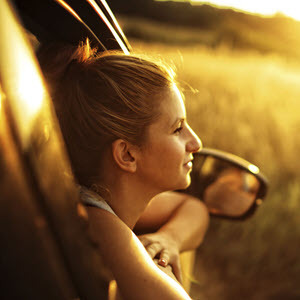 A deep breath increases its secretion (by stretching the type II cells). Its concentration decreases when breaths are small. Surfactant is a complex of both lipids and proteins, but its major component is a phospholipid that forms a monomolecular layer between the air and water at the alveolar surface. The amount of surfactant tends to decrease when breaths are small and constant. A deep breath, which people normally intersperse frequently in their breathing pattern, stretches the type II cells, which stimulates the secretion of surfactant. This is why patients who have had thoracic or abdominal surgery and are breathing shallowly because of the pain must be urged to take occasional deep breaths. A striking example of what occurs when surfactant is deficient is the disease known as respiratory-distress syndrome of the newborn. This is the second leading cause of death in premature infants, in whom the surfactant-synthesizing cells may be too immature to function adequately. Because of low lung compliance, the infant is able to inspire only by the most strenuous efforts, which may ultimately cause complete exhaustion, inability to breathe, lung collapse, and death. Therapy in such cases is assisted breathing with a mechanical ventilator and the administration of natural or synthetic surfactant via the infant's trachea. As previously stated, the volume of air that flows into or out of the alveoli per unit time is directly proportional to the pressure difference between the atmosphere and alveoli and inversely proportional to the resistance to flow offered by the airways (Equation 15-2). The factors that determine airway resistance are analogous to those determining vascular resistance in the circulatory system: tube length, tube radius, and interactions between moving molecules (gas molecules, in this case). As in the circulatory system, the most important factor by far is the tube radius: Airway resistance is inversely proportional to the fourth power of the airway radii. Airway resistance to air flow is normally so small that very small pressure differences suffice to produce large volumes of air flow. As we have seen (see Figure 15-12), the average atmosphere-to-alveoli pressure difference during a normal breath at rest is less than 1 mmHg; yet, approximately 500 ml of air is moved by this tiny difference. Airway radii and therefore resistance are affected by physical, neural, and chemical factors. One important physical factor is the transpulmonary pressure, which exerts a distending force on the airways, just as on the alveoli. This is a major factor keeping the smaller airways—those without cartilage to support them—from collapsing. Because, as we have seen, transpulmonary pressure increases during inspiration, airway radius becomes larger and airway resistance smaller as the lungs expand during inspiration. The opposite occurs during expiration. A second physical factor holding the airways open is the elastic connective-tissue fibers that link the outside of the airways to the surrounding alveolar tissue. These fibers are pulled upon as the lungs expand during inspiration, and in turn they help pull the airways open even more than between breaths. This is termed lateral traction. Thus, putting this information and that of the previous paragraph together, both the transpulmonary pressure and lateral traction act in the same direction, reducing airway resistance during inspiration. Such physical factors also explain why the airways become narrower and airway resistance increases during a forced expiration. Indeed, because of increased airway resistance, there is a limit as to how much one can increase the air flow rate during a forced expiration no matter how intense the effort. In addition to these physical factors, a variety of neuroendocrine and paracrine factors can influence airway smooth muscle and thereby airway resistance. For example, the hormone epinephrine relaxes airway smooth muscle (via an effect on beta-adrenergic receptors), whereas the leukotrienes (members of the eicosanoid family) produced in the lungs during inflammation contract the muscle. One might wonder why physiologists are concerned with all the many physical and chemical factors that can influence airway resistance when we earlier stated that airway resistance is normally so low that it is no impediment to air flow. The reason is that, under abnormal circumstances, changes in these factors may cause serious increases in airway resistance. Asthma and chronic obstructive pulmonary disease provide important examples. Asthma Asthma is a disease characterized by intermittent attacks in which airway smooth muscle contracts strongly, markedly increasing airway resistance. The basic defect in asthma is chronic inflammation of the airways, the causes of which vary from person to person and include, among others, allergy and virus infections. The important point is that the underlying inflammation causes the airway smooth muscle to be hyperresponsive and to contract strongly when, depending upon the individual, the person exercises (especially in cold, dry air) or is exposed to cigarette smoke, environmental pollutants, viruses, allergens, normally released bronchoconstrictor chemicals, and a variety of other potential triggers. The therapy for asthma is twofold: (1) to reduce the chronic inflammation and hence the airway hyperre-sponsiveness with so-called anti-inflammatory drugs, particularly glucocorticoids (Chapter 20) taken by inhalation; and (2) to overcome acute excessive airway smooth-muscle contraction with bronchodilator drugs— that is, drugs that relax the airways. 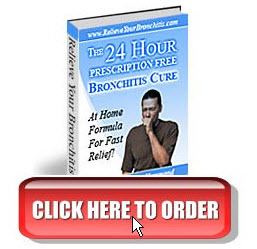 The latter drugs work on the airways either by enhancing the actions of bronchodilator neuroendocrine or paracrine messengers or by blocking the actions of bronchoconstrictors. For example, one class of bronchodilator drug mimics the normal action of epinephrine on beta-adrenergic receptors. Emphysema is discussed later in this chapter; suffice it to say here that the cause of obstruction in this disease is destruction and collapse of the smaller airways. and thickening of the inflamed airways. The same agents that cause emphysema—smoking, for example— also cause chronic bronchitis, which is why the two diseases frequently coexist. The Heimlich Maneuver The Heimlich maneuver is used to aid a person choking on a foreign body caught in and obstructing the upper airways. A sudden increase in abdominal pressure is produced as the rescuer's fists, placed against the victim's abdomen slightly above the navel and well below the tip of the sternum, are pressed into the abdomen with a quick upward thrust (Figure 15-15). The increased abdominal pressure forces the diaphragm upward into the thorax, reducing thoracic size and, by Boyle's Law, increasing alveolar pressure. The forceful expiration produced by the increased alveolar pressure often expels the object caught in the respiratory tract. The Heimlich maneuver. The rescuer's fists are placed against the victim's abdomen. A quick upward thrust of the fists causes elevation of the diaphragm and a forceful expiration. As this expired air is forced through the trachea and larynx, the foreign object in the airway is often expelled. Normally the volume of air entering the lungs during a single inspiration is approximately equal to the volume leaving on the subsequent expiration and is called the tidal volume. The tidal volume during normal quiet breathing is termed the resting tidal volume and is approximately 500 ml. As illustrated in Figure 15-16, the maximal amount of air that can be increased above this value during deepest inspiration is termed the inspiratory reserve volume (and is about 3000 ml—that is, sixfold greater than resting tidal volume). After expiration of a resting tidal volume, the lungs still contain a very large volume of air. As described earlier, this is the resting position of the lungs and chest wall (that is, the position that exists when there is no contraction of the respiratory muscles); it is termed the functional residual capacity (and averages about 2500 ml). Thus, the 500 ml of air inspired with each resting breath adds to and mixes with the much larger volume of air already in the lungs, and then 500 ml of the total is expired. Through maximal active contraction of the expiratory muscles, it is possible to expire much more of the air remaining after the resting tidal volume has been expired; this additional expired volume is termed the expiratory reserve volume (about 1500 ml). Even after a maximal active expiration, approximately 1000 ml of air still remains in the lungs and is termed the residual volume. A useful clinical measurement is the vital capacity, the maximal volume of air that a person can expire after a maximal inspiration. Under these conditions, the person is expiring both the resting tidal volume and inspiratory reserve volume just inspired, plus the expiratory reserve volume (Figure 15-16). In other words, the vital capacity is the sum of these three volumes. 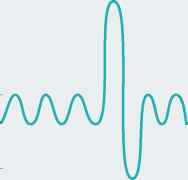 A variant on this method is the forced expiratory volume in 1 s, (FEVj), in which the person takes a maximal inspiration and then exhales maximally as fast as possible. The important value is the fraction of the total "forced" vital capacity expired in 1 s. Normal individuals can expire approximately 80 percent of the vital capacity in this time. Lung volumes and capacities recorded on a spirometer, an apparatus for measuring inspired and expired volumes. When the subject inspires, the pen moves up; with expiration, it moves down. The capacities are the sums of two or more lung volumes. The lung volumes are the four distinct components of total lung capacity. Note that residual volume, total lung capacity, and functional residual capacity cannot be measured with a spirometer. characterized by a reduced vital capacity but a normal ratio of FEV1 to vital capacity. For example, at rest, a normal person moves approximately 500 ml of air in and out of the lungs with each breath and takes 10 breaths each minute. The minute ventilation is therefore 500 ml/breath X 10 breaths/minute = 5000 ml of air per minute. However, because of dead space, not all this air is available for exchange with the blood. Dead Space The conducting airways have a volume of about 150 ml. Exchanges of gases with the blood occur only in the alveoli and not in this 150 ml of the airways. 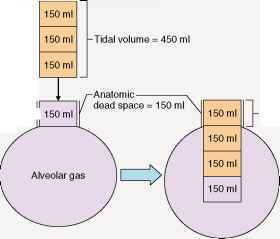 Picture, then, what occurs during expiration of a tidal volume, which in this example we'll set at 450 ml instead of the 500 ml mentioned earlier. The 450 ml of air is forced out of the alveoli and through the airways. Approximately 300 ml of this alveolar air is exhaled at the nose or mouth, but approximately 150 ml still remains in the airways at the end of expiration. During the next inspiration (Figure 15-17), 450 ml of air flows into the alveoli, but the first 150 ml entering the alveoli is not atmospheric air but the 150 ml left behind in the airways from the last breath. Thus, only 300 ml of new atmospheric air enters the alveoli during the inspiration. The end result is that 150 ml of the 450 ml of atmospheric air entering the respiratory system during each inspiration never reaches the alveoli but is merely moved in and out of the airways. Because these airways do not permit gas exchange with the blood, the space within them is termed the anatomic dead space. Effects of anatomic dead space on alveolar ventilation. Anatomic dead space is the volume of the conducting airways. the minute ventilation. This generalization is demonstrated readily by the data in Table 15-4. In this experiment, subject A breathes rapidly and shallowly, B normally, and C slowly and deeply. Each subject has exactly the same minute ventilation; that is, each is moving the same amount of air in and out of the lungs per minute. Yet, when we subtract the anatomic dead-space ventilation from the minute ventilation, we find marked differences in alveolar ventilation. Subject A has no alveolar ventilation and would become unconscious in several minutes, whereas C has a considerably greater alveolar ventilation than B, who is breathing normally. Another important generalization to be drawn from this example is that increased depth of breathing is far more effective in elevating alveolar ventilation than is an equivalent increase in breathing rate. Conversely, a decrease in depth can lead to a critical reduction in alveolar ventilation. This is because a fixed volume of each tidal volume goes to the dead space. If the tidal volume decreases, the fraction of the tidal volume going to the dead space increases until, as in subject A, it may represent the entire tidal volume. On the other hand, any increase in tidal volume goes entirely toward increasing alveolar ventilation. These concepts have important physiological implications. Most situations that produce an increased ventilation, such as exercise, reflexly call forth a relatively greater increase in breathing depth than rate. The anatomic dead space is not the only type of dead space. Some fresh inspired air is not used for gas exchange with the blood even though it reaches the alveoli because some alveoli, for various reasons, have little or no blood supply. This volume of air is known as alveolar dead space. It is quite small in normal persons but may be very large in several kinds of lung disease. As we shall see, it is minimized by local mechanisms that match air and blood flows. The sum of the anatomic and alveolar dead spaces is known as the physiologic dead space. What is the difference between respiration and ventilation? Can lung survive with blood flow without ventilation? Is 0mmhg also considered as atmospheric pressure? Why the lung capacity and tidal volume remains fixed for a healthy individual? Is 760 mmhg the atmospheric pressure in the alveoli or is it known a zero? How pressure difference makes air to enter lungs? 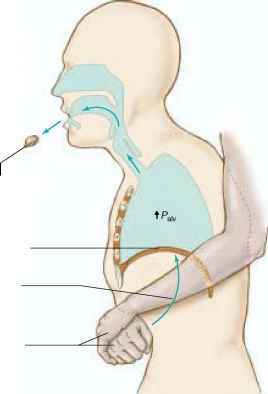 How would Heimlich Maneuver change the volume of the chest and lungs? Why mechanism of ventilation of lung is required?